It was on this day in 1594 that Henri IV was crowned King of France at Chartres Cathedral, about 50 miles southwest of Paris. He is remembered as a tolerant king, one who was vilified by the intolerant of his own time but more respected after his death as people became more dispassionate and, perhaps, more tolerant themselves. 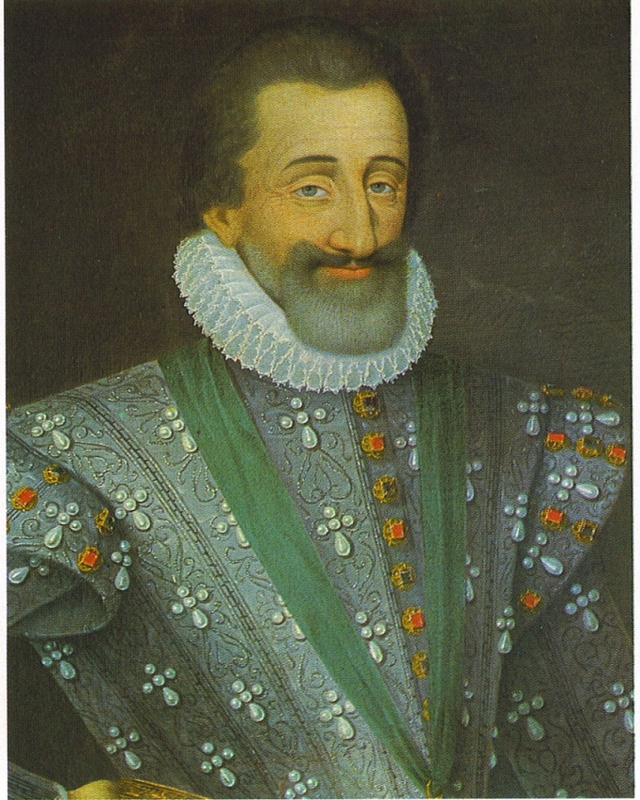 For those who are not experts in French history, if they know at least the basic facts, they will recall that King Henri IV is most famous for having been a Protestant but who converted to Catholicism in order to be king, supposedly saying that, “Paris is worth a mass”. I cannot help but think that part of his popularity in recent times is due to his reputation for not taking religion very seriously. This is, needless to say, completely wrong. First of all, I would not swear on the Gospels that Henri IV ever said that nor do I think his conversion was driven entirely by ambition or political concerns. I may not swear to it either but I think it is at least highly possible that his conversion, even if prompted by politics to a degree, was genuine. What earned King Henri IV his reputation for tolerance was that, even after his conversion to Catholicism, he issued the Edict of Nantes which granted freedom of religion to French Protestants. Needless to say, there were Catholics who were upset by this but, then again, one can also still find Catholics who are critical of King Louis XIV for revoking the Edict of Nantes. For many, whether tolerance is a positive or a negative seems to be a rather subjective question. In the case of France, tolerance seemed to be the only solution to their problem. The edict came at the end of the long and brutal Wars of Religion in France, the last being known as the “War of the Three Henries”. 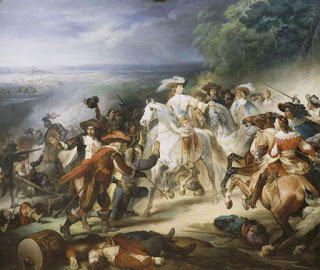 This saw Henri (IV) of Navarre and the Protestants battling against Henri Duc d’Guise and the Catholics with King Henri III in the middle, all fighting against each other, none being strong enough to defeat the other two. France was being shredded by these conflicts and since there seemed to be no end, tolerance was the answer Henri of Navarre found. In order to be king, he would become Catholic but he would also insist that Protestants be free to worship as they pleased so long as they remained loyal to the king and loyal to France, which in those days were taken to be the same thing. 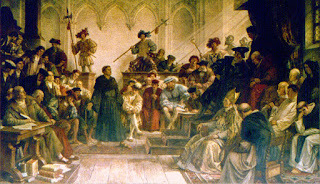 One reason that Protestantism was able to take hold in France was because of the degree of tolerance that existed in the Catholic leaders of the country such as the famous King Francis I who tolerated the Protestants at first only to later come to regret it as a faction, primarily aristocratic Protestants, began to aim their opposition at the monarchy. There were similar problems across Europe as Protestantism spread throughout the continent. However, one will notice that similar wars of religion did not occur in places such as Spain or Italy. 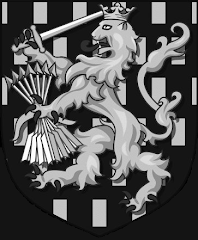 It is interesting to look at the realms of the House of Habsburg in this time which included both Spain and Germany. 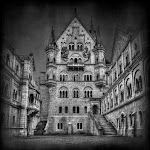 In Spain, the rather unfairly notorious Inquisition made sure that Protestant ideas never found a firm foothold, whereas in Germany, ruled by the same monarch but under a very different political system, this was not possible. The decentralized nature of the first German Reich meant that Martin Luther was able to defy the German Emperor and King of Spain right to his face at the Diet of Worms and freely walk away without being arrested thanks to the protection of his local prince Frederick III, Elector of Saxony. The result was that while Spain had no wars of religion, Germany had plenty of them, culminating in the disastrous Thirty Years War which left central Europe in ruins for decades. The fact that tolerance can make things worse instead of better was not lost on the Protestants themselves. Despite their persecution at the hands of intolerant Catholics, for what they called, ‘following the dictates of their conscience’, once in power they were not prepared to fully embrace tolerance themselves. In countries such as England or The Netherlands, while the Church of England or the Dutch Reformed Church had special status, they were generally tolerant of Protestants who did not adhere to these churches but that freedom of religion did not extend to Catholics. It is obvious to see why. Such tolerance would lead to division which would lead to conflict, sometimes decade after decade of ruinous conflict that could devastate entire nations. Today it often seems necessary to repeat the obvious; differences cause problems. Differences about the fundamental nature of society, the world, loyalty and so on can certainly cause very, very serious problems. 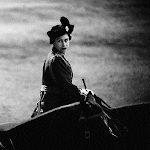 These lessons are not only to be drawn from the monarchies of the Old World. They were seen just as often in the United States of America. On the religious front, Maryland was founded as a Catholic colony but not enough Catholics wanted to move there, so they were tolerant and allowed Protestants in as well. As soon as the Protestants became a majority, they decided to be tolerant of everyone except Catholics. 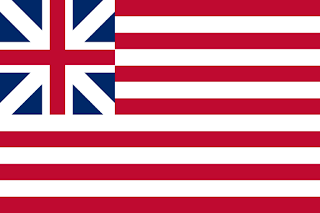 In the political sphere, when the thirteen original colonies won their independence, they were not prepared to be very tolerant of those hated loyalists who had taken the side of the King in London. As I have proposed before, I think this was one reason why the United States did not suffer the same chaotic fate as Mexico post-independence. In America, the people who were different were gotten rid of so that everyone who remained were basically in agreement on the fundamental, republican, nature of the new country. 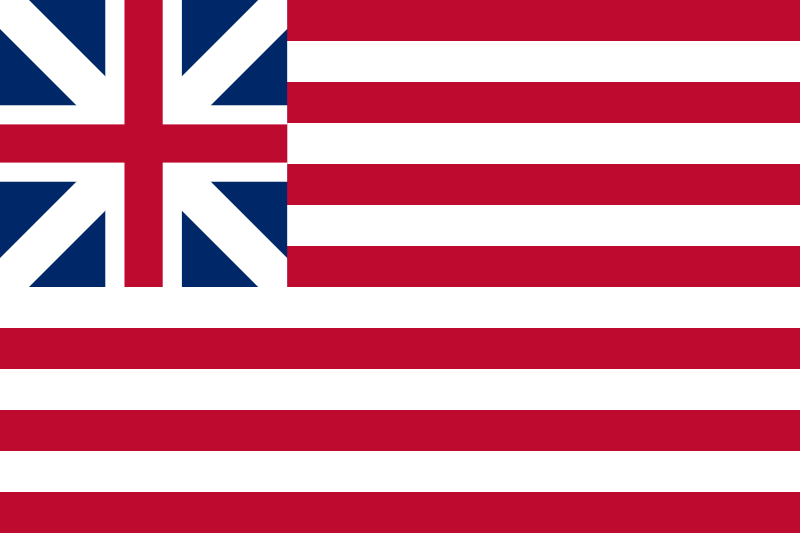 Thus there were no royalist coups in America. Other differences and thus other problems arose in due time and there was not an abundance of tolerance. The concept of the rights of the states in America was based on tolerance, a ‘live and let live’, almost libertarian sort of attitude. Yet, just as those opposed to slavery would not tolerate it in another state, so too with a long list of successive issues all the way up to gay “marriage”. Making it legal in their own state was never enough, ALL states had to make it legal and if the people would not do it willingly, the courts would do it by force. This all underlies a fundamental point I have tried to impress upon people many times. Tolerance is rare and tolerance on the part of governments is practically non-existent. No ruling power ever has or ever will tolerate anything which is a direct challenge to them. They will not tolerate any sort of attack on that which they hold most dear. In Muslim countries, this means that anything anti-Islamic will not be tolerated. It is why, in Germany or Austria, questioning the Holocaust is not tolerated. It is why the Soviet Union, Nazi Germany or Fascist Italy would not tolerate opposition to their ruling parties. It is why Thailand does not tolerate disrespect toward the monarchy, because that is the foundation of their society. Liberal regimes today, be they republics or monarchies, tend to think they are immune from this. Not so. The rulers of Great Britain, for example, allow republican groups to attack the monarchy because the monarchy is not fundamental to their world view at all. Most European countries, the United States, Canada and so on do not have something so obvious as Islam in Iran or the King in Thailand but they very clearly have a narrative that is fundamental to their worldview and they will tolerate no opposition to this narrative. Because of liberalism, they have to be more duplicitous about this than Chairman Mao on the left or General Franco on the right but they are just as intolerant as either of those examples were. They must show some restraint in order to maintain their charade but we have all seen the truth. If you challenge the narrative, you will be vilified, lose your job, perhaps even face criminal penalties. Your life can be destroyed for doing this because when it comes to that which they hold most dear, they are just as intolerant as any Spanish inquisitor, Soviet secret policeman or Nazi Gestapo agent. This is a fact of human nature. We can be tolerant but generally only for select periods of time and when all other options have failed. Even then, the tolerance doesn’t really stay but rather becomes unnecessary. The reason for this is that when something is tolerated for long enough, it generally becomes accepted and, even when it is not, the ultimate end is that people stop believing such differences matter and replace them with new ones. Religious tolerance did not lead to Protestants and Catholics truly respecting each other. It led to people just giving up on Christianity altogether. Monarchies which tolerate republicans has not led to republicans embracing the monarchy out of gratitude but rather an increasing number of people being indifferent to their monarchy. Tolerance is a lie and, all too often, a fatal one. The way French military prowess is routinely denigrated, it is no wonder that the ignorant often say scoffingly that, in terms of great military leaders, the French would have nothing without Napoleon. And Napoleon wasn’t even really French. This attitude, however, derives almost entirely from World War II and is an exaggeration even if only looking at that unfortunate conflict. Rest assured, that even without Napoleon, France boasts a number of military giants, not only in French history but in the history of the world at large and one of those was most certainly Louis II de Bourbon, Prince de Condé. 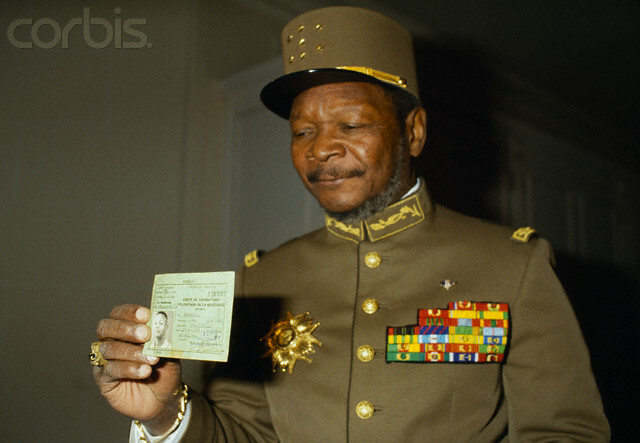 He was a colorful character to be sure, alternately regarded as a war hero, a traitor and the savior of his country. His achievements warrant his inclusion, not just on any list of great French military commanders but amongst the most remarkable and influential captains in world history (and he would not be the sole Frenchman on such a list). A “prince of the blood”, Louis was born the Duke of Enghien on September 8, 1621. As such, his was a childhood of wealth and privilege. Despite their august and semi-sacred status, many Bourbon royals could still be shy, withdrawn or even possessing of a degree of humility. Condé, however, was not one of them. He was proud, arrogant and could be extremely condescending. Yet, he was one of those rare personalities who, to the frustration of some, had as much talent as he had vanity. Entrusted, because of his birth, with a military command at the age of only nineteen, Condé nonetheless quickly proved that he more than merited such a position. He was no listless lord, no idle aristocrat, not at all one of those puffed up princes of popular fiction who is all glamour and no substance, the sort in any story we all wait to receive his comeuppance. On the contrary, Condé was driven to excel, possessed immense determination and real bravery. He also learned the art of war very quickly and very well. He became a master at evaluating the enemy and exploiting the slightest weakness. He displayed so much talent that within three years he was given command of the French army and posted to the frontier to defend against an invasion from the Spanish Netherlands. However, standing still on the defensive was not his style. 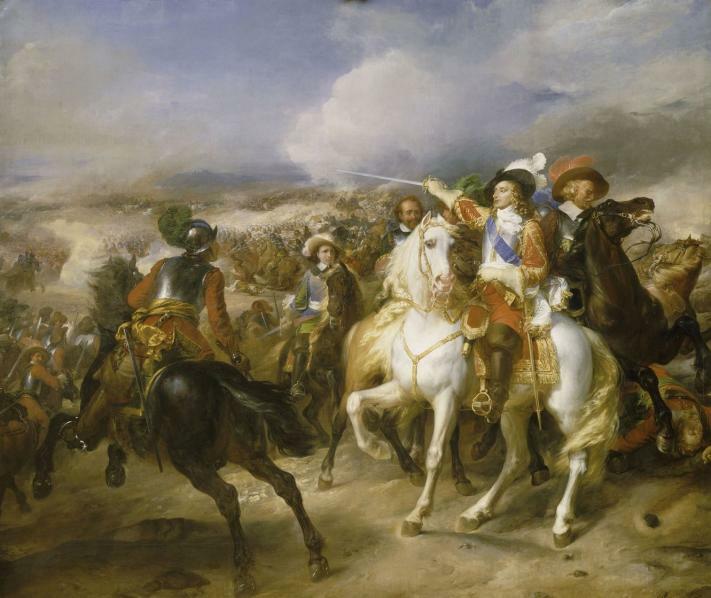 Condé went on the offensive himself and intercepted the Spanish army at Rocroi on May 19, 1643. This was no small affair. The Spanish infantry formations of pikemen and musketeers were rightly regarded as the best in the world in those days, a powerful combination of powder and steel that seemed unstoppable. The vaunted tercios, however, had met their match in the Prince de Condé. He concentrated his artillery to blast the Spanish lines, outflanked their cavalry with his own and then crushed the Spanish from both sides as his own infantry charged from the front and his cavalry from the rear. It was one of the most spectacular victories in French history. While losing only 2,000 men, Condé had wiped out 20,000 Spaniards, destroyed their army and in so doing also destroyed 150 years of Spanish military dominance in Europe. He had correctly evaluated his enemy and brilliantly exploited their weaknesses. It was his specialty and he won a victory that would never be forgotten. The Battle of Rocroi, however, was only the beginning for the Prince de Condé. He next shifted to Alsace to meet the Bavarians. Although he did not destroy their army totally as he had the Spanish, in three sharp battles he forced the Bavarians to quit French soil and retreat back across the Rhine. When they returned the following year, Condé, along with another giant of French military history, Turenne, again defeated the Bavarians and forced them to withdraw. Time and again, over the next decade, Condé was called upon to chastise the enemies of France but with each victory he also gained enemies at court where jealously about the young man who so dominated the battlefields was not uncommon. The greater his popularity, the greater the envy many felt towards him. He did have his setbacks as well. In 1647 he was dispatched to Spain and met with a bitter loss at Lerida, a failure of logistics rather than battlefield tactics. Nonetheless, it was an aberration and he still succeeded in carrying out the occupation of Catalonia. 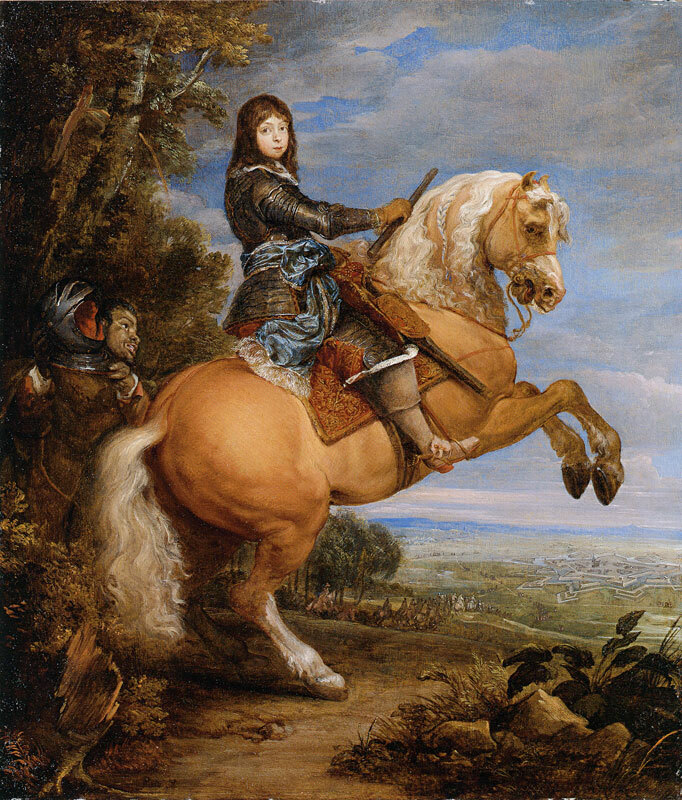 1648 saw the Prince de Condé rushed to command the French army in Flanders, the target of the Spanish forces of Archduke Leopold Wilhelm. Condé concocted a cunning trap for the Archduke, feigning a retreat to draw the Spanish out of their defenses at Lens on August 20. The enemy took the bait and as they came out Condé again used his cavalry to outflank them and rolled them up like a blanket. This additional success was welcome but it came at a time of great turmoil in France. “The God-given” Louis XIV was officially King of France but it was his mother, Queen Anne of Austria, who ruled as regent. She, however, had handed actual power over to Cardinal Mazarin and rumors about the two were rampant. 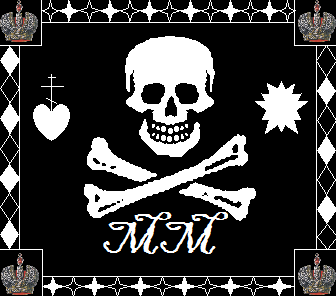 Soon, leading aristocrats in France were preparing to rise up in revolt against the Queen-regent and Cardinal Mazarin. To lead this rebellion, the “Fronde”, the elites recruited the Prince de Condé. 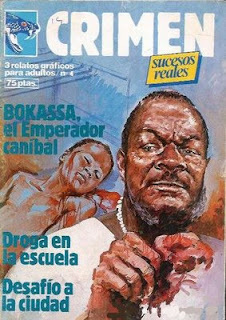 More controversial still, he made common cause with his former Spanish enemies to bring down the Queen Mother. In 1658, at the head of a largely Spanish army, the Prince de Condé met the loyalist forces of his old comrade-in-arms, the great Turenne. The resulting battle was short but decisive and it was Turenne who emerged victorious. Condé retreated, having already been sentenced to death in absentia for treason in 1654. The situation in France stabilized after 1659 when the war ended with the Treaty of the Pyrenees and the Prince began to use his connections to lobby for his pardon and return home. Many, obviously, were not enthusiastic about this but the enemies of France persisted and it proved impossible to leave so talented a captain in exile. 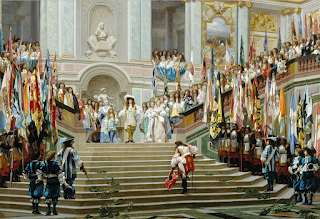 In 1668 Condé finally succeeded in being brought home and given command of another French army. Some distrusted him and always would but his immense talents had not abandoned him and after a smashing victory over the Dutch at Arnhem in 1672 and later another triumph over the Prince of Orange at Seneffe in 1674, his loyalty seemed well proven and his critics were largely silenced. The success at Seneffe, however, would prove to be his last victory. Although only in his mid-fifties, that was a more advanced age for the time than it is today and Condé was suffering from a variety of ailments ranging from gout, the common affliction of the upper class, to the simple effects of old age and so many years campaigning. He was simply no longer physically capable of taking to the battlefield and so, after more than thirty years of leadership, retired to his palatial home, devoting his remaining years to his family, study and of course, living as lavishly as he could. 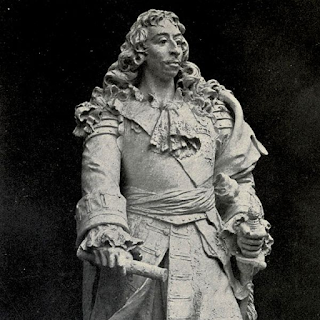 The great Condé died at Fontainebleau on December 11, 1686 at the age of sixty-five. The Prince de Condé was one of the most remarkable figures France has ever produced and one of the most brilliant tacticians the world has ever seen. Coming from the very elite of the elite, Condé was nonetheless a “hands on” commander, a general who led from the front and who had the scars to show for it. 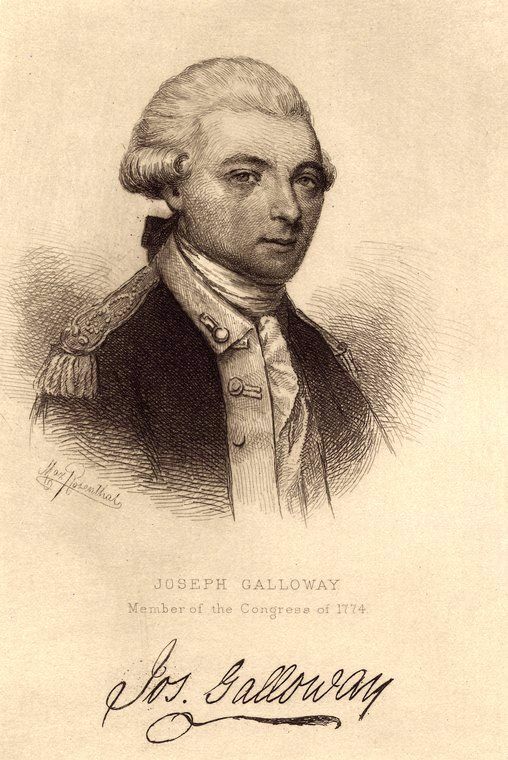 During his many years of battles he had numerous horses shot out from under him and was wounded in action on multiple occasions. His courage was beyond question and his skill was obvious for all to see. He had a very quick mind, remarkable powers of observation and almost always found some fault in his enemy that he could exploit, in the heat of battle, to win the day. In his own time, Turenne was probably the only commander more influential than he and of course it helped that Turenne was never branded a traitor. Yet, even in that, Condé proved himself capable of snatching victory from the jaws of defeat in his own life. Widely regarded as the greatest war hero in France, he was condemned as a traitor, sentenced to death and yet, in a time of crisis, came back and smashed the Dutch to be celebrated as the savior of his country. In any listing of the great captains of history, from all around the world, one will surely find the name of Louis II de Bourbon, Prince de Condé. The last of the three wars to secure the unity and independence of the Kingdom of Italy requires more than the usual background information. The preliminaries took longer than the war itself. 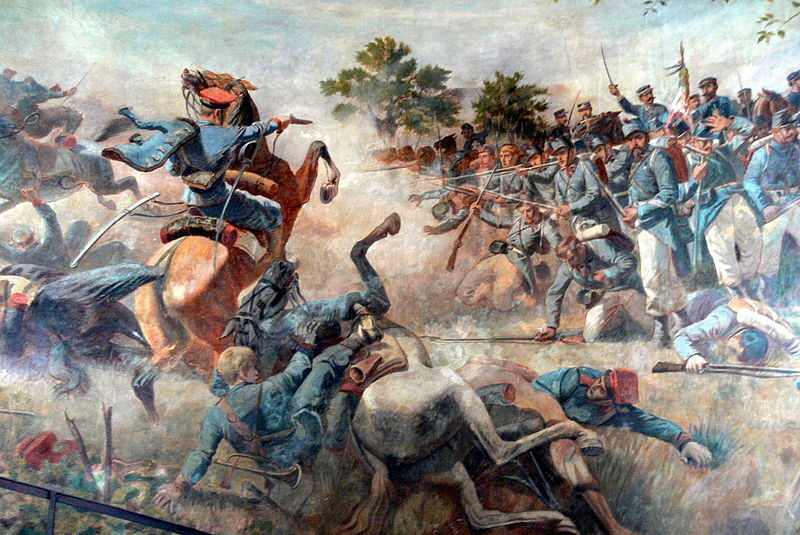 The Second War of Italian Independence had seen the Austrian Empire beaten by the French and Italians at the bloody Battle of Solferino in 1859. Austria was forced to cede Lombardy to the King of Piedmont-Sardinia as well as the conquest of Modena, Parma, Tuscany and most of the Papal States in 1860 which were united with the rest of the northern half of the peninsula under the House of Savoy of the Kingdom of Piedmont-Sardinia. However, the French ultimately won few friends and, by the time the smoke had cleared, came to be seen as duplicitous by both the Austrians and many Italians. 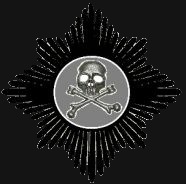 Moreover, the Prussians had mobilized during the conflict but had not taken part. They too were pursuing a nationalist goal of reunifying all of the German states into one empire (Reich). Austria, rather than lead, stood opposed to this and the war in Italy was used by the Prussians as proof of both Austrian weakness and a greater concern for maintaining their rule over non-Germans than for resuming leadership of the German nation on the part of Austria. All of that was simmering and would ultimately come to a boil when Bismarck was to provoke Austrian Emperor Franz Joseph into a war (just as Napoleon III had done in 1859 and others would do yet again). In the meantime, however, the unification of the Italian peninsula continued apace and in a shocking way. The famed Italian nationalist, Giuseppe Garibaldi, renowned for his exploits in South America and his defeat of the French in front of Rome in 1849, was as eager as ever to go on the attack. In 1849, Garibaldi, a lifelong republican and Freemason, had fought for the radical republicans of Giuseppe Mazzini. However, he had seen them prove totally incapable of governing and witnessed how easily they were defeated. Since then, he had seen King Vittorio Emanuele II and his royalists, deliver actual victories for the nationalist cause and Garibaldi was that rare case of a nationalist who did not put his own ideology before all else. If the republicans, who he favored, could not get the job done, he would fight his battles on behalf of a monarch if that meant the furtherance of the nationalist cause. However, given his background, his politics and his aggressiveness, the government of King Vittorio Emanuele II, led by Count Camillo Cavour, had to be careful in how it dealt with Garibaldi, to make use of him while not being seen too blatantly to make use of him in case his far-fetched scheme might fail. The scheme he had in mind was nothing short of the conquest of the Kingdom of the Two-Sicilies, ruled, at that time, by the cadet branch of the Spanish Royal Family. In May of 1860, with only a thousand volunteers, Garibaldi sailed out to take on the Bourbon monarchy which possessed a large army and a bigger navy than Piedmont-Sardinia. He and his little force of men, garishly dressed in red shirts, landed in Sicily, the garrison of which had been reinforced from 21,000 to 40,000 men when word of Garibaldi’s plan reached Naples. Garibaldi should have had no chance at all, however, he was a master at misdirection and the Kingdom of the Two-Sicilies proved far less formidable in fact than it appeared on paper. Particularly in Sicily, the repeated rebellions of the previous decades had taken their toll and the King, Francesco II, had wiped out his Swiss mercenaries, his best troops, when they went on strike over better pay and conditions. Garibaldi could never have conquered Sicily with only a thousand men but many Sicilian peasants rushed to join his cause and more reinforcements would be arriving by ship later on. The first decisive action was the Battle of Calatafimi on May 15, 1860. If the Neapolitans had beaten Garibaldi there, he would have been ruined and his local support would have melted away. Yet, though outnumbered 3-to-1, Garibaldi managed to win, or at least not lose which was good enough for his purposes. Emboldened by this, and attracting a little over a thousand more local volunteers in the aftermath, Garibaldi launched a direct assault on the coastal fortress city of Palermo. He let prisoners out of jail which enlarged his forces and had little trouble rousing the city to rebellion (Palermo had a history of this) but the Neapolitan general, the elderly Ferdinando Lanza, managed to drive them back after which he and his offshore naval support shelled the city for three days, killing hundreds of civilians. This, obviously, did nothing to help the Bourbon cause in the long-run. Many have since accused Lanza of having been paid off by the British but I would be hesitant to believe such a thing without hard evidence. He did surrender the city to a force smaller than his own and which was practically out of ammunition but he did so only after his own counter-attack had failed. The enemy were in the city and it seemed impossible to dislodge them. He also had permission from his King to withdraw and on July 7 the Neapolitan army did just that. Earlier that month King Francesco II had granted a(nother) constitution but it did him no good. 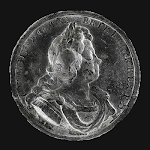 Those who wanted one no longer believed the Bourbon monarchy trustworthy on this subject while the more reactionary supporters of the monarchy were put off by it. After Garibaldi’s forces won another victory at Milazzo, the Neapolitan commander surrendered the key fortress city of Messina less than a week later. The remaining Neapolitan garrisons on the island surrendered soon after. 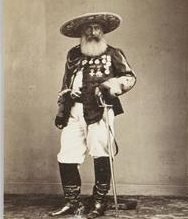 Garibaldi was master of Sicily and controlled access to the mainland. The next month he and his forces crossed over to Calabria, against the direct wishes of Cavour who had conspired with Garibaldi to make the invasion of Sicily possible. In Calabria there was little effective resistance as the large Bourbon armies simply melted away, many simply deserting and not a few even crossing over to join Garibaldi. In the meantime, the Piedmontese had invaded the remaining Papal States on the pretext of suppressing disorder. Pope Pius IX deployed his own army but held them back, certain that France or Austria would come to his aid. Neither did. Further south, the gallant, young, King Francesco II barricaded himself inside the coastal fortress of Gaeta with his few remaining loyal troops. 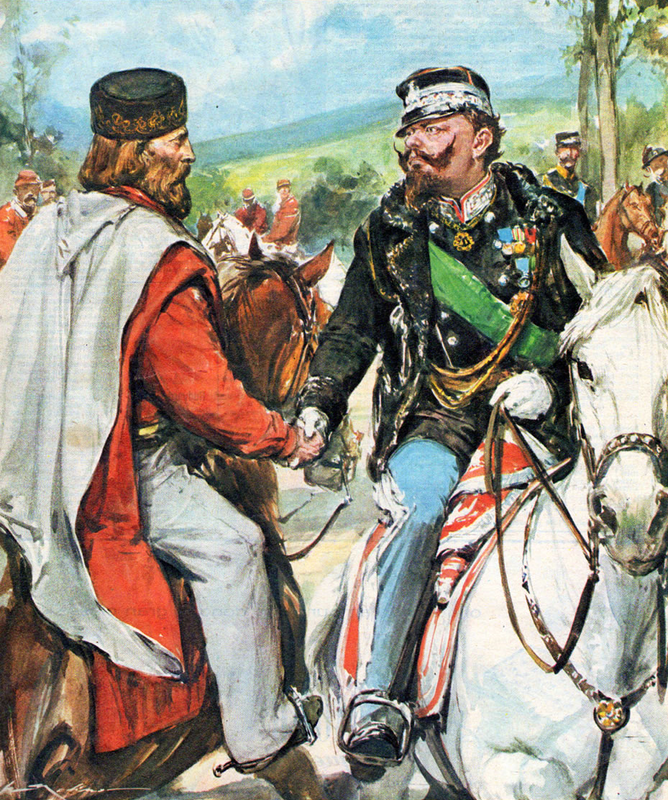 The Piedmontese army and the army of Garibaldi linked up with Garibaldi handing all of his conquests over to King Vittorio Emanuele II of Italy. The siege of Gaeta dragged on to its inevitable conclusion, showing at least what an inspiring leader King Francesco II was and what he might have accomplished if he had taken to the field to defend his kingdom personally. After 100 days of resistance, Francesco II surrendered and went into exile, the south was reunited with the north for the first time since the fall of the Roman Empire and Vittorio Emanuele II was proclaimed King of Italy. Of the major Italian territories, only Rome and Venice remained out of reach. Rome was occupied by the French and Venice by the Austrians. Peaceful efforts to gain these came to nothing. 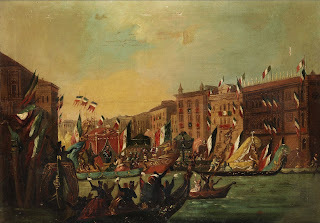 The new King of Italy offered to purchase Venice from Emperor Franz Joseph, but was refused. Likewise, Pope Pius IX refused to hear of the offer of Cavour for absolute sovereign immunity for the pope and total power for him in all Church matters. The status quo, however, could not endure as the nationalist movement which had taken hold in Italy would never abide separation from Venice and Rome. Not long after, Count Cavour suddenly died and though the King had never liked him much, the two had learned how to work together and a period of some political instability ensued. Garibaldi, seeing his work still unfinished, recruited some more volunteers and made to attack Rome. 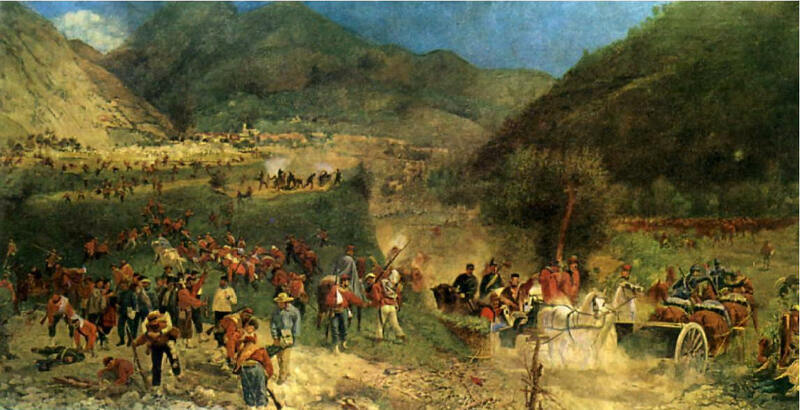 The French and Austrians both threatened war if he was not stopped and so the Italian army did the job, halting the nationalist volunteers at the Battle of Aspromonte in August of 1862, even wounding Garibaldi himself in the process. This was what we would call today a public relations nightmare for the Italian government and to an extent broke the nationalist-monarchist coalition. The royalists accused the nationalists of being rash and foolhardy while the nationalists accused the King of caring more for the Pope than for Italy, taking the side of the French occupiers over the Italian people. All of this added pressure on the new Kingdom of Italy to take any chance that presented itself to regain its nationalist credentials. The government saw hope for regaining Venice when, also in 1861, Otto von Bismarck became chancellor of the Kingdom of Prussia. Bismarck was well known as a man who was determined to have a united Germany and if Austria would not lead, he would push them out of the way and Prussia would assume leadership. 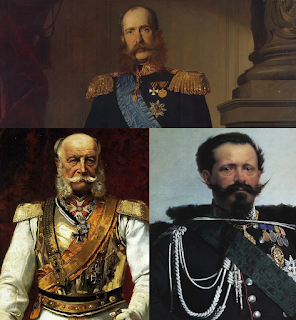 However, when Napoleon III proved not so positive toward Prussia and negative toward Austria as Bismarck had hoped, Prussia and Austria renewed ties under the German Confederation (just in time for a war with Denmark). Italian hopes for an alliance were dashed, but the reunion did not last long. 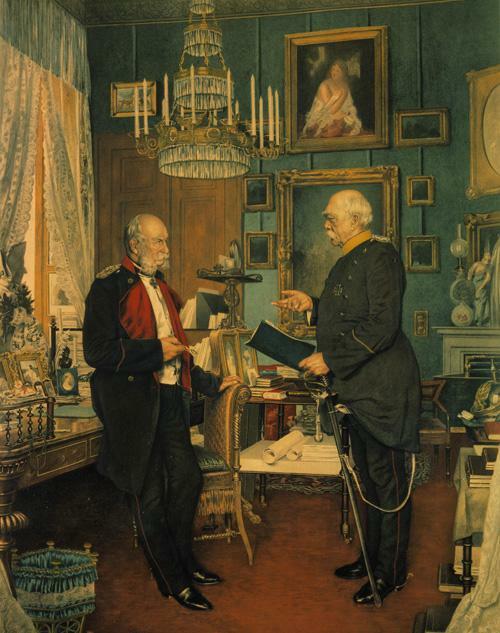 Conflict began to bubble up over disagreements between Austria and Prussia over the administration of the lands taken in the war with Denmark. Among German nationalists, there had also been a long standing division over whether or not the united Germany would include Austria due to the fact that Austria also ruled over so many non-German peoples that German nationalists cared nothing about. With the Austro-Prussian dispute, that matter was settled; Austria would be excluded and, as far as Bismarck was concerned, could go on having fun in her ‘majority minority’ empire. If Prussia were to take on Austria, there would be no better time as Habsburg foreign policy had managed to alienate just about everyone by this stage. Austria was sore at the French for allowing the incorporation of the central Italian states into the Kingdom of Italy and so, naturally, the French were sore at Austria in return. The Italians, naturally, wanted Venice back and so were certainly not going to take the side of Austria and, most importantly, the Russians were still furious at Emperor Franz Joseph for threatening to side against them in the Crimean War, effectively forcing them to concede defeat. The Prussians had also stood by the Russians in a recent rebellion in Poland, whereas the Austrians had not. The British, for their part, had no great love for either side and had no reason to care who won. Bismarck had only to prod Austria with the right words for Emperor Franz Joseph to demand a resolution of the Holstein issue by the German Imperial Diet which violated a treaty between Austria and Prussia, which was all Bismarck needed to go to war. Many have since pondered why the Austrian Emperor did such a thing after having been previously baited into a failed war with France and Piedmont-Sardinia not so long before. The most common explanation is that Austria was still not really looking toward the German states so much as the other ethnicities within the Austrian Empire, which were rather restive. The Hungarians, who had come under much more strict control since the Revolution of 1848, were looking particularly troublesome. The Emperor may have been hoping that a war with Prussia and Italy would unite the ethnic groups behind Austrian leadership and strengthen the empire. 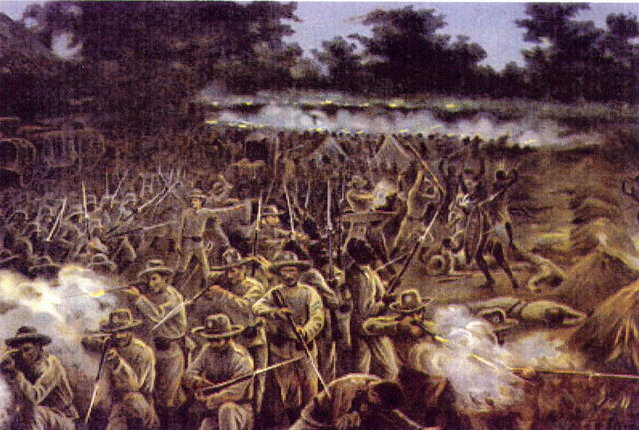 In any event, on June 14, 1866 the war began with Prussian troops marching into Saxony and Bohemia. The Prussian army had mobilized rapidly thanks to the adept leadership of war minister Graf von Roon and the army commander Graf von Moltke. The Italian Royal Army was less well prepared, with elements of the north and south still not having coalesced very well. Some of this was due to personality issues, some due to organizational differences and sometimes simply the differences between the dialects of Turin and Naples. The Italian war plan was for the army of General Alfonso La Marmora to strike while the army of General Enrico Cialdini remained on the defensive. They would have superior numbers but the Austrians, with their powerful fortress cities of the Quadrilateral, would be able to concentrate their troops against any threat. The Italians, in typical fashion, came straight on with a bold offensive by the troops of La Marmora, accompanied by King Vittorio Emanuele II himself, who loved nothing better than being on campaign. The Austrians were led by Archduke Albrecht, Duke of Teschen, the Emperor’s cousin and a veteran of Radetzky’s victorious army from the First War of Italian Independence. He was not content to remain on the defensive but moved his army around to the north in an effort to get behind the Italians, cut them off from their base of operations and assault them from the rear. As it happened, the Italian army turned at just the right moment and the two sides collided at the Battle of Custoza on June 24. It was a very confused fight. The Austrian cavalry charged in, were mostly wiped out but spread confusion that stymied a sizeable number of Italian units. The Austrians drove the Italians out of Oliosi and seemed to be winning the day, yet were then met by an Italian division that exploited the gaps in their lines and refused to be dislodged, repelling fierce and repeated Austrian attacks at Monte Croce. The Austrians thought they were beaten, yet the Italians did not immediately reinforce Monte Croce and finally the forces there began to fall back. When reinforcements were sent and the Austrians moved to match them, the Austrians left another gap in their lines but the Italians failed to exploit it. Each army believed they had been beaten, though neither actually had been. However, it was La Marmora who was the first to take action on this mistaken assumption and he ordered a retreat. As his forces moved back to secure the bridges over the Mincio, gaps in the Italian lines opened up which the Austrians were quick to exploit and Italian losses were heavy. By the end of the day, the Italians had retreated across the river after losing 8,147 men compared to losses of 5,650 for the Austrians. 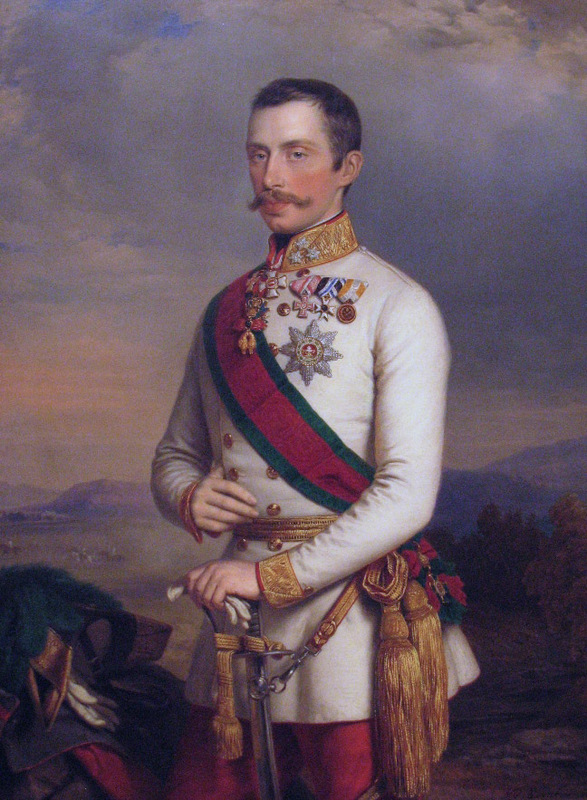 However, Archduke Albrecht did not follow up to destroy the Italian army, viewing his army as too bloodied and too exhausted to continue. As it was, most of the Italian losses had been men who were captured, as far as the number of dead and wounded alone went, Austrian losses were considerably higher. The Archduke retired to Verona, fearful of exposing his forces in case the French decided to get involved. 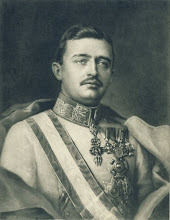 Emperor Franz Joseph had advised him to ignore any political consideration and focus on annihilating the Italians, however, Archduke Albrecht seemed more concerned in not repeating the disaster that had befallen Franz Joseph himself at Solferino. As it was, Austria had won a solid victory and removed itself from immediate danger on the Italian front. In fact, the Austrian Empire seemed to be doing exceedingly well in the opening weeks of the conflict. 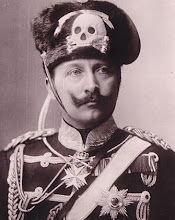 They had defeated the Italians at Custoza and soon after halted the Prussians at Trautenau and the Austrian-allied forces of the Kingdom of Hanover also defeated the Prussians at Langensalza. However, at that point, everything began to go wrong. Only two days later the Hanoverians surrendered and the Prussians bested the Austrians at Gitschin on June 29. 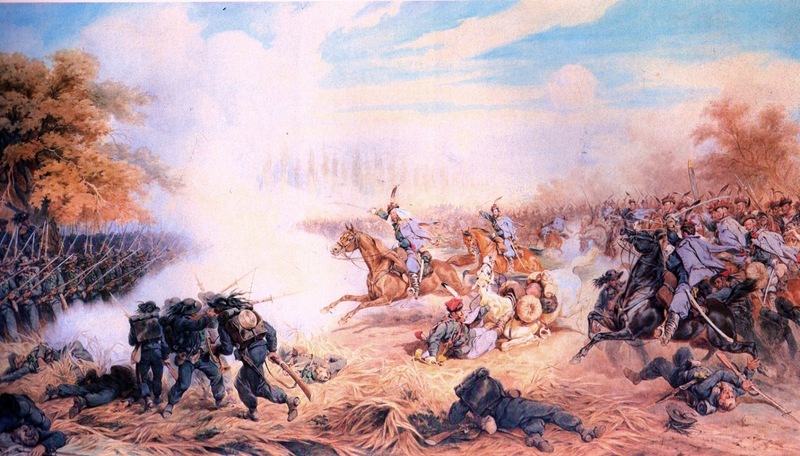 Most devastating of all for Austria was the decisive Prussian victory at the Battle of Koeniggraetz (Sadowa) on July 3. 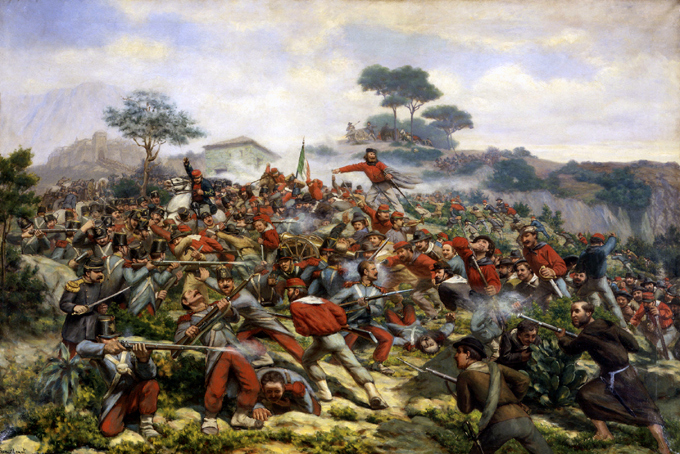 Subsequent defeats followed and in Italy, a small force under Giuseppe Garibaldi, who was still full of fight, was on the attack in the Trentino while the Italian high command planned their own counter-offensive. On July 21, Garibaldi and his “Hunters of the Alps” were attacked by two Austrian columns led by Major General Franz Baron von Kuhn at the town of Bezzecca. The Italians immediately counter-attacked and though they took heavier losses, managed to drive the Austrians out, providing a much needed morale boost for the Italian forces. The Italian war effort seemed to be on the rebound. General Cialdini was on the advance, this time with La Marmora holding back to cover the Austrian fortresses, Garibaldi had won a hard fought victory at Bezzecca and the Italian navy, widely regarded as the vastly superior force, was preparing to land troops on the Adriatic island of Lissa off the Dalmatian coast. However, it was then that everything was spoiled by the greatest disaster of the war for Italy. To the surprise of all, the much smaller Austrian fleet of Admiral Wilhelm von Tegetthoff, attacked the Italian fleet while they were preparing to land their forces. The Italian commander, Admiral Count Carlo di Persano, was caught off guard and seemed totally bewildered. Two Italian ironclad warships were sunk while the Austrians lost none of their own, though one unarmored steamer was badly damaged. The Italians retreated and the Austrian sailors cheered. Ironically, most of the “Austrian” sailors were actually Italians, from Venice. It was a humiliating blow for Italy which was not helped by the fact that Persano first reported that he had won a great victory. This made it very awkward, needless to say, and all the worse when the truth came out. The outcome of the war had, for all intents and purposes, mostly been decided at the Battle of Sadowa with the Prussians crushing the Austrian army there. However, the Austrian reinforcements on their way to Italy, combined with the stunning loss at Lissa, prompted Italy to come to the peace table too, in spite of the advances of Garibaldi and Cialdini and the hopes riding on them to make good on the loss at Custoza. It was not the glorious victory that had been hoped for, nor would the resulting peace treaty be easy for anyone. 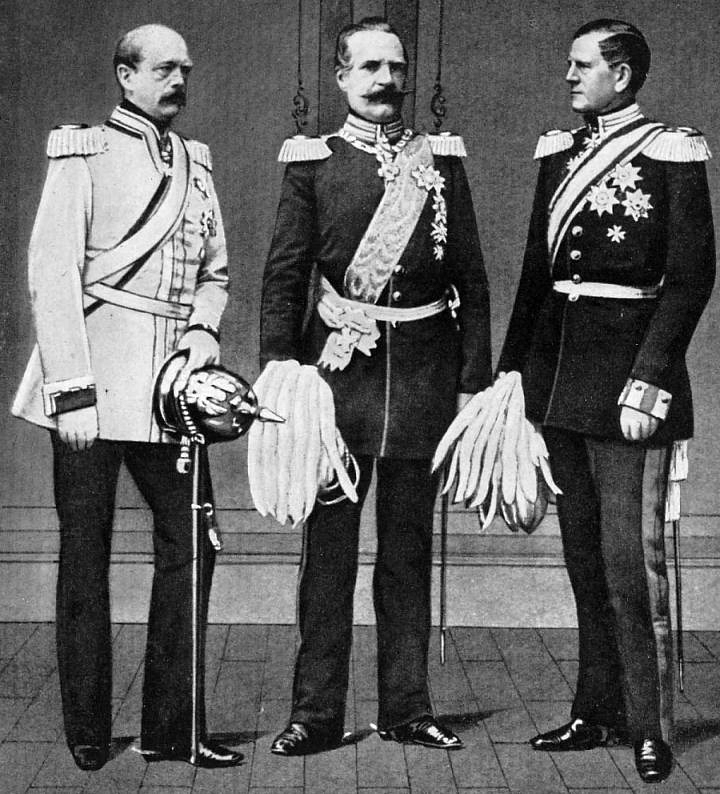 Italy was on the winning side but Prussia had been the ones to force Austria to the negotiating table. Even then, it was only thanks to the intransigence of Bismarck as most of the Prussian officers wanted to carry on and capture Vienna and perhaps more. Bismarck would not hear of it. All he wanted was a war to shove Austria out of the way so that Prussia could create a united Germany. He had no desire to see Austria humiliated or destroyed. However, the Austrians were still Austrian and while they could grudgingly accept being beaten by Prussia, they would still insist on being condescending to the hated Italians. They refused to concede anything to Italy, yet Prussia was bound by their alliance not to make peace unless Venice was restored to Italy. However, the Austrian Empire refused to budge on this and so Prussia and Italy had to turn to Emperor Napoleon III of the French, who had been on side but taken no part in the conflict. The result was rather ridiculous. 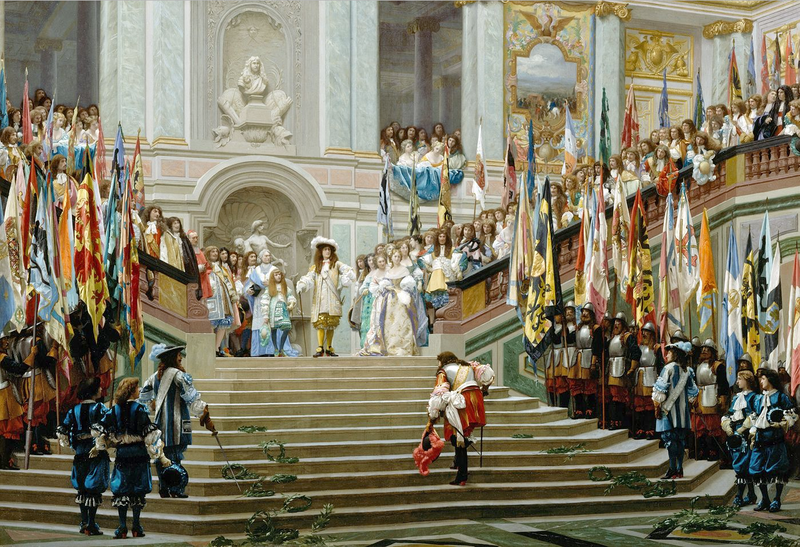 Austria finally agreed to make peace but by ceding Venice to the French Empire at which point the French then handed Venice over to the Kingdom of Italy. In a way, however, it was rather fitting given that Austria had first acquired Venice by originally dividing the Venetian territories with the first French Republic. So it was that Prussia proved to the minor German states that Austria would not be looked to for leadership and, after the appropriate referendum, Venice was annexed to the Kingdom of Italy. An unfortunate result of the Austrian intransigence during the peace process was to perpetuate the false impression that Italy had accomplished nothing during the war. 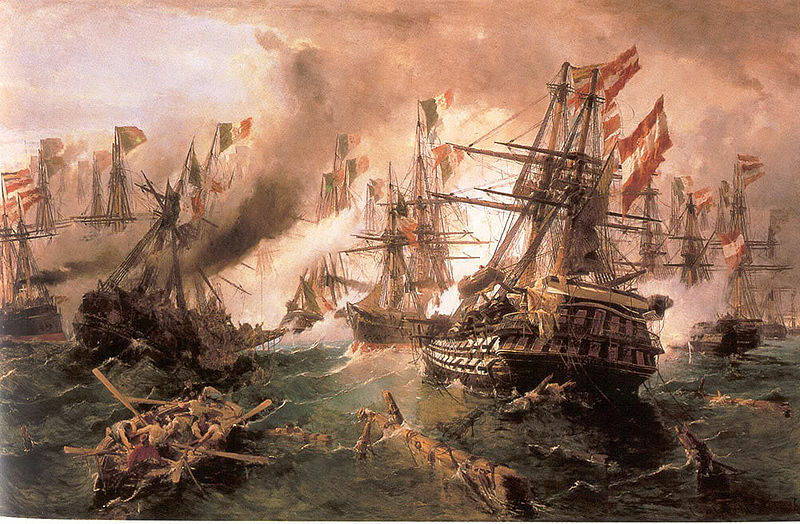 The Italians had won battles and the naval engagement of Lissa was the only truly embarrassing loss. The battle of Custoza was two armies that basically fought each other to exhaustion, both thought they had lost and the Italians were simply the first to do anything about it and as they began to pull back the Austrians pounced. Garibaldi had won a hard fought victory in the north, the Italians had not been destroyed and were in the process of counter-attacking, were advancing back into Venetia, when the crushing victory of the Prussians brought the war to a close. The Austrians had not ‘run away with it’ so to speak. In any event, Italy had at least regained Venice, leaving only Rome still under foreign occupation. Prussia was clearly established as the leading German state, only one further step away from unification whereas the Austrian Empire had been humbled and was soon thereafter forced to make vast concessions to the Hungarians, leading to the compromise which turned the Austrian Empire into the “Dual Monarchy” of Austria-Hungary. 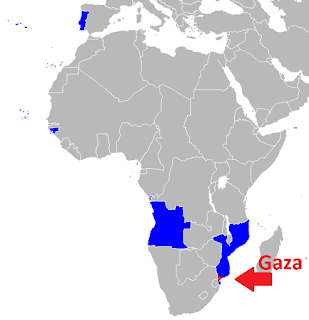 In the late Nineteenth Century, in the southern tip of what is now Mozambique, between the Zambezi and Limpopo rivers, existed the grandly named “Gaza Empire”. 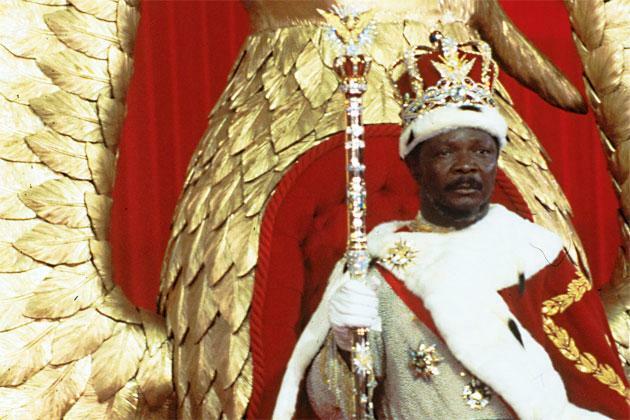 It was, like other African powers which later claimed the title, actually a collection of tribes ruled by whoever was able to seize control for as long as he could hold it. 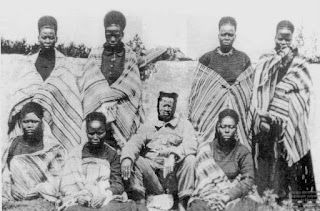 The Gaza empire consisted of tribes which migrated north out of what is now South Africa earlier in the century due to a combination of famine and the defeat of other African tribes following the “Great Trek” of the Boers after the British abolished slavery. The chieftains of Gaza continued to rely heavily on slavery with the Islamic slave merchants on the coast continuing to do business with them for a very long time. 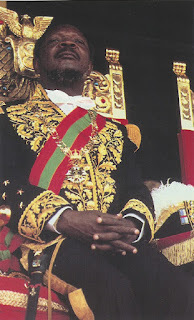 The other power in the neighborhood was, of course, the Kingdom of Portugal which had long claimed the whole area as Portuguese East Africa but whose actual control had, for centuries, been limited to the coastal area from which they did business with Africans who inhabited the interior. Rough location of the "Empire of Gaza"
The man known by the Portuguese as Reinaldo Frederico Gungunhana was born around the year 1850 with the name Mdungazwe (or Mundagaz). 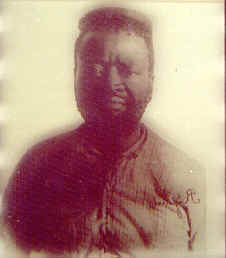 His grandfather, Gaza, had been a local tribal chief who, during the migration, was able to accumulate several other chiefs subordinate to him and thus when they settled in what is now southern Mozambique and established themselves named their new country Gaza centered around the village of Chaimite. The Portuguese, long established in the region, though mostly farther north, sent a small delegation led by a junior army officer to establish relations with this new entity and negotiate a treaty with them on behalf of the King of Portugal. Though the envoys were received, Gaza refused to make any agreement with Portugal and small scale hostilities continued, mostly with other African tribes in the region and occasionally clashing with the Portuguese as well. Gungunhana was thus born into a tribal society constantly in conflict and was raised with the sole purpose of being a great tribal warrior in the image of his grandfather. When his grandfather died, his father, Mzila, his uncle Mawewe and another chief all fought for dominance over Gaza. Mawewe was victorious and Mzila, with his son presumably, was forced to flee to the Transvaal in what is now South Africa as Mawewe, to prevent any threat to his hold on power, did his best to massacre his brother’s family which was fairly typical for the time and place. This upsurge in violence caused the Portuguese to peg Mawewe as a troublemaker and they arranged an alliance with the President of the Orange Free State (one of the Boer republics) to eliminate this mutual threat. 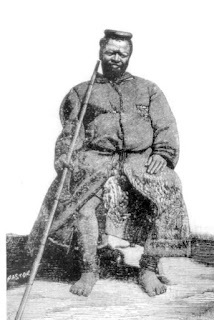 Chief Mawewe did his best to prove the Portuguese correct, sending them a demand for tribute from every Portuguese colonist at Lourenco Marques under threat of their total annihilation. The Portuguese governor, not being the sort to tolerate such threats and having a flair for the dramatic, sent Mawewe a single rifle cartridge with the notice that this would be the only tribute he would receive from the subjects of the King of Portugal. The fact that their earlier offer of friendship had been rejected, naturally, did not make the belligerent attitude of Mawewe go down any better with the Portuguese. This, however, gave Gungunhana’s father, Mzila, an opportunity to advance his own cause. Learning of recent evens in the autumn of 1861, Mzila went to the Portuguese and offered them his allegiance as a vassal of the King of Portugal if the Portuguese would help him to overthrow his brother and take control of Gaza. Portugal agreed, Mzila declared himself the rightful king of the Gaza and launched a war. He was able to rally some supporters with the help of having Portuguese backing him up and an November 30, 1861 won the decisive battle which secured his control of the area. The following month he signed a formal treaty in which the Portuguese recognized him as the chieftain of Gaza and which made him a subject of the King of Portugal. The war dragged on for several more years though the outcome was never really in doubt as Mzila, despite having initially a much smaller army, had 2,000 antiquated flintlock muskets provided by the Portuguese authorities which allowed him to dominate his enemy. Gungunhana began to rise in prominence among the other children of his father during these years but as the decades went by, tensions began to rise too as warriors from Gaza attacked Portuguese colonists. New agreements were made and Mzila would offer apologies and expressions of friendship, but such attacks continued sporadically and bad feelings continued to fester. 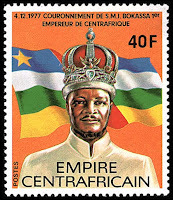 Around this time, as his reign was nearing its end, the “Scramble for Africa” was also starting to get underway. 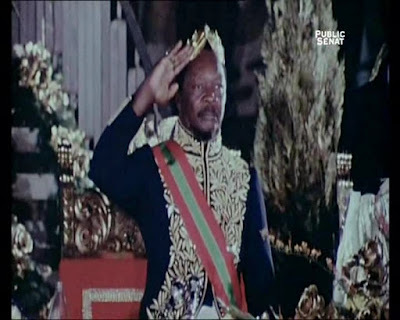 British rule in Africa was expanding rapidly and the Germans and Belgians were also arriving on the scene, eager to make agreements with native rulers for control of local resources. The Portuguese colonial authorities had to move to actually occupy the areas long claimed and to make sure none of the chieftains in these territories were wooed away by other powers. After attacks on two Portuguese settlements, Mzila went to Lourenco Marques to make his apologies and again pledge his allegiance to the King in Lisbon. Although irritated by the attacks, the Portuguese gave Mzila a welcome full of pomp and ceremony as well as more tangible gifts such as rice, livestock and liquor. At his request, they also gave him a Portuguese flag to fly over his village. The Portuguese also sent an ambassador to his village shortly thereafter. However, not long after, in 1884, Mzila died. Gungunhana was not the heir to the throne but, again, in typical fashion, made war on his brothers and was successful in forcing the heir and other rivals for power to flee the country. By the end of the year he was firmly ensconced on the throne and took the name Gungunhana or “son of the lion”. With his authority covering 90,000 square kilometers of territory and over a million Africans, Gungunhana, at 34, undoubtedly felt at the top of his game. However, the encroachment of the British and the Germans in the area meant that Portugal had to have, not just treaties but an actual presence in every area under her flag, otherwise it would be seen as “fair game” to the more recently arrived European powers. With the British in the midst of a flurry of expansion, the Portuguese colonial government dispatched Casaleiro Alegria as the Portuguese resident at the court of Gungunhana in 1885. The following year, representatives in Lisbon agreed to a new treaty which would allow Portugal a presence in Gaza, freedom of movement for the Portuguese in Gaza and granting Gungunhana the rank of Colonel of the Second Line in the royal Portuguese army. Unfortunately, that agreement fell apart and a new delegation had to be sent to Lisbon in 1887 to negotiate a new treaty. The Africans were much more cooperative after the recent suppression of the fearsome Zulu kingdom by the British. This was done but events began to unravel very quickly. Gungunhana decided to move his capital farther to the south, to an area held by tribes that were less than friendly to his own (the Nguni) and this set off a series of conflicts and, again, some sporadic attacks on Portuguese colonists. One reason for this was the presence of some mines in this region which the Africans learned were highly prized by the Europeans and Gungunhana believed that if he could take undisputed control of this region, he could buy the support of the British in helping him divorce himself from the Portuguese. 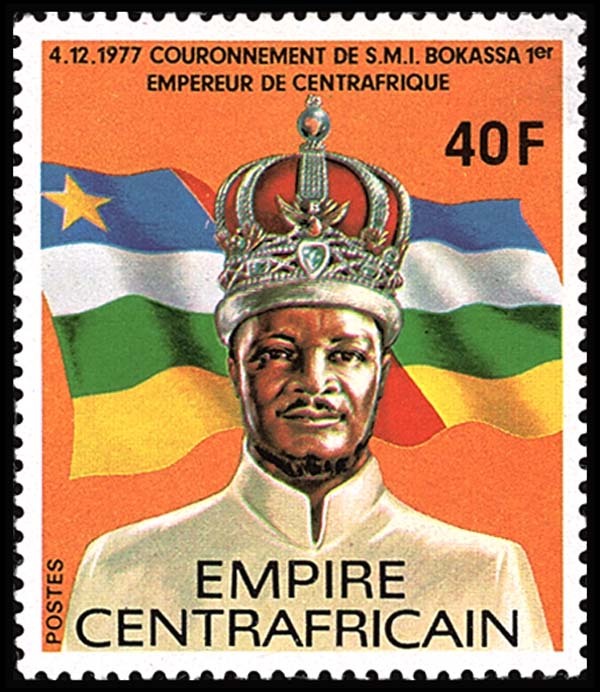 It did not help that at the same time the oldest alliance in the world was being tested with the British expansion into the interior of Africa between the Portuguese colonies in Angola and Mozambique. There were even threats of a naval blockade and relations between the British and Portuguese had scarcely ever been worse. 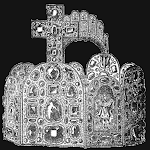 The time for niceties was over and the Kingdom of Portugal had to get very serious or risk losing their territory. To oversee the occupation of Mozambique, Portugal dispatched the respected soldier Lt. 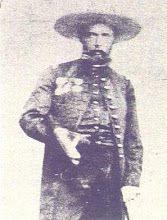 Colonel (with brevet promotion to general) Joaquim Mouzinho de Albuquerque as governor. 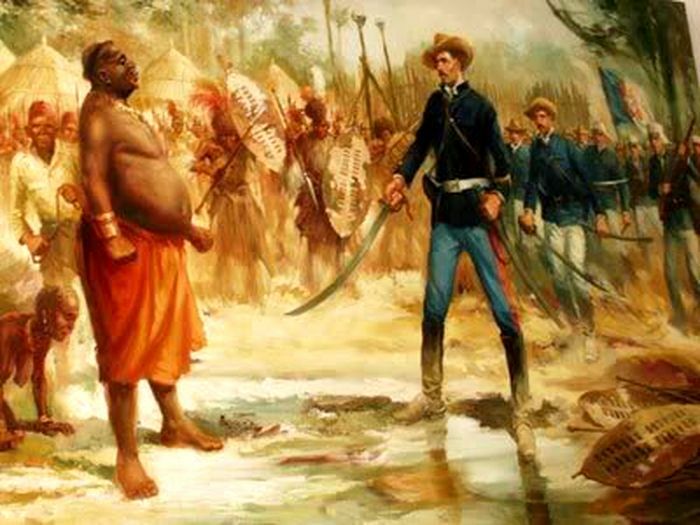 Gungunhana, alarmed at the sudden ‘no-nonsense’ attitude of the Portuguese in Africa, went ahead with his scheme to enlist the British on his side. However, the governments in London and Lisbon, unknown to him, had already agreed on where the border between their colonial holdings would be. The spread of Portuguese authority also caused a backlash in areas far removed from Gaza and in 1894 in particular there were large native uprisings against the colonial government. At first, Gungunhana tried to assure both sides of his support but eventually he did have to mobilize his warriors, though he tried to reassure the Portuguese that he simply wished to review them. 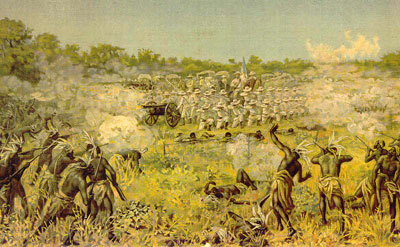 Portugal responded with a formal military campaign for the pacification of Mozambique. On February 2, 1895 a small Portuguese force led by Major Caldas Xavier defeated a much larger African army at the Battle of Marracuene thanks to the discipline and superior weaponry of the colonial army. That episode got the attention of some of the African leaders but a last effort at a diplomatic reconciliation with Gungunhana fails later the same year. 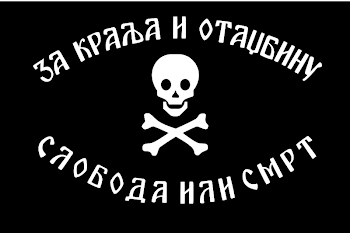 Gungunhana continuously put off the Portuguese, still thinking that he would receive word from the British any day of their support for his cause. Finally, that summer, Gungunhana refuses a last Portuguese ultimatum and threatens openly to ally himself with the British. This was effectively an outright declaration of war against Portugal. It does not go well for the Africans. At the Battle of Magul on September 7, 1895 a Portuguese column, having formed square, bloodily repulses a massive native attack with their superior firepower. Nearby villages were burned as the Portuguese army moved in. The Africans fighting at Magul, however, were not from Gaza as Gungunhana was still holding back, expecting the British to come fight on his behalf. He is even forced, eventually, to demobilize his army of 40,000 men as he simply could no longer feed them and the men needed to return home to see to their crops. He sends still more messages to the British in South Africa but, as usual, receives no reply. With no other native forces between his own and the Portuguese, Gungunhana became the focus of a direct attack by a heavily armed column of 600 Portuguese soldiers and 500 African colonial troops led by Colonel Eduardo Galhardo. Amazingly, Gungunhana seemed to think that, as he and his father had done in the past, the Portuguese might be mollified with apologies and renewed promises of friendship. This time, however, that will not be enough and Gungunhana is only able to mobilize a fraction of his previous strength, roughly 13,000 native warriors, to meet the Portuguese. The result was the famous Battle of Coolela on November 7, 1895 in which, again, the Portuguese forces decimate the native army, the African warriors of Gaza losing hundreds of men compared to only five Portuguese being killed. In the aftermath of this disaster, Gungunhana accuses his family of betraying him and announces that he will surrender to the Portuguese, again, still thinking that new promises of friendship will be enough. About four days later the Portuguese take the capital of Gaza, Manjacaze, but find the chieftain not at home. The kraal is burned and the troops march on. Gungunhana had fled to the old capital, the village of Chaimite, where his witchdoctors perform human sacrifice to arouse the spirit of his famous grandfather for protection. With other African chiefs eager to make themselves vassals of the King of Portugal in wake of the recent battles, including members of Gungunhana’s own family, Mouzinho de Albuquerque decided to go himself, with only a handful of men, to capture Gungunhana. 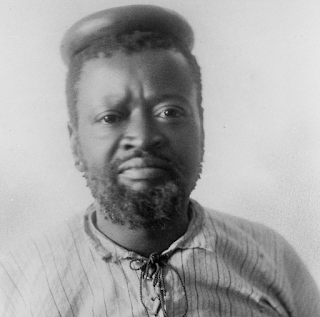 The African chieftain tries to stop Albuquerque with gifts, sending ivory and over 500 pounds of gold, later more gold, livestock and even his firstborn son but all to no avail. On the morning of December 28, 1895 Mouzinho de Albuquerque enters Chaimite with its remaining 300 warriors fleeing at the approach of the tiny party. Gungunhana is taken prisoner and the village is destroyed. That was not the end of all resistance but it was the end for Gungunhana who was packed up, along with his seven wives and a few servants, and marched to the coast and put aboard ship for Lisbon. When journalists are allowed in to see him, they are confronted by the pitiful site of a bewildered man, crying hysterically, desperately trying to bargain for his life, convinced that he is to face a firing squad. This, of course, does not happen and in the midst of a media frenzy the group is moved to a prison fortress where they are such a popular attraction that viewing stands are erected. Not long after they are moved to better accommodations and given their favorite foods, wine and medical care. Gungunhana repeatedly asked to meet with King Carlos, wishing to pledge his allegiance again but, though it is talked about, the King refuses to meet with him. The African chieftain was quickly becoming problematic for the government. Caring for them and the horde of spectators that gathered around them was expensive and while some in Portugal wished for nothing better than for Gungunhana to be shot as a faithless traitor, leftist agitators and enemies of the monarchy were also starting to champion his cause and condemn the pacification campaign as wanton cruelty. Finally, on June 22, 1896, the group was quietly shipped off to exile in the Azores. The former ruler of Gaza was, on orders from the Portuguese government, treated with all due respect, spending his time hunting rabbits and weaving baskets for sale at the local market. To his dismay, the Catholic nature of the Portuguese monarchy would not allow him to retain his seven wives and so, to assuage him and his sons, weekly trips to the local brothel satisfied them. Eventually they all learned to read, write and speak Portuguese and in 1899 were baptized into the Roman Catholic Church. 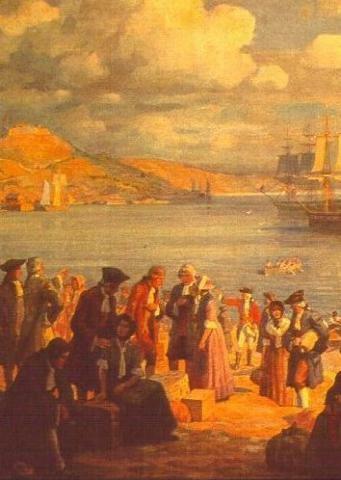 They adopted western clothes and customs and eventually became accepted, if unusual, members of the local community. Reinaldo Frederico Gungunhana, former king of Gaza, died of a cerebral hemorrhage on December 23, 1906. 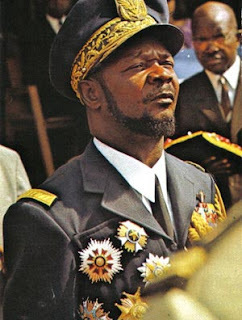 Some of his descendants still live in South Africa today.